Can anyone escape Britain’s surveillance state? When I arrive to meet former City of London counter terrorism chief, Brett Lovegrove, he warns me I am being watched. On the short walk over to Westminster from the Telegraph offices in Victoria I will, according to Lovegrove, have been recorded on CCTV every step of the way. My tube journey that morning would have been privy to some of the 16,000 cameras that map every movement on the London underground network. It is a somewhat intimidating way to begin an interview, not least as to his right nods another security specialist, Captain David Blakeley, a former commander in the secretive British military unit The Pathfinders, comprised of the cream of the Parachute Regiment. But knowing what we are up to is what these men do best. Both are part of a team of a few dozen security specialists who appear in a new Channel 4 series, Hunted, which begins next month. The premise is simple: 14 ordinary people flee their lives and try to live “off grid” for a month while evading capture. The hunters, commanded by Lovegrove, begin with only the names, addresses, photographs and dates of birth of the escapees, and attempt to track them down. In order to locate their targets, they are allowed to use all the surveillance mechanisms available to the British security services including CCTV footage (there are up to six million cameras nationwide), automatic number plate recognition, as well as phone and email records. For anybody unsure of how effective this is, it is worth bearing in mind the photograph jokingly tweeted – and hastily deleted – last month by the National Police Air Service of comedian Michael McIntyre standing in the morning rush in Leicester Square. Despite being taken from thousands of feet above, McIntyre is instantly recognisable in the high-resolution image. The central question the programme raises is one of the most pertinent of our times: whether it possible to avoid the all-seeing eye of the surveillance state. As is the obvious follow up: if not, how worried should we be about it? For Lovegrove, who retired from the police in 2008, and now heads up several companies specialising in counter terrorism and surveillance, the answer is much, much more than we currently seem to be – particularly with regard to the lax scattering of our lives online. During filming, much of the tracking was done simply through mining so-called “open-source information”. This is the personal data that we either wittingly or unwittingly put out in the public domain and is available for anybody to do with as they wish, be they hacker or companies like Google and Microsoft. “I got involved with the programme because I wanted to raise people’s awareness about the information footprints they build for themselves,” he says. “Whatsapp, Instagram, emails, mobile phones, absolutely everything we use all the time. What people are doing is creating an information footprint that they then don’t, I believe, take sufficient care of to protect themselves. This surveillance extends far beyond our smartphones. Although those with an iPhone may not be aware that a programme called “Frequent Locations” buried in its privacy settings is mapping not just your every movement, but also the time and date you come and go. So-called smart meters mean our electricity and water useage is collated, smart fridges and wifi-equipped coffee machines know what we eat and drink. In February, Samsung’s smart TV sets were found to be recording conversations to share with the firm and other third parties. Dr Richard Tynan, a technologist at Privacy International, which monitors government surveillance and was consulted by the production crew of Hunted for filming, calls this “the pattern of life”. “It’s becoming increasingly impossible to escape creating some form of record about what you are doing and leave some form of trail that a company or government can hone in on to try and track you,” he says. With the advent of wearable technology such as Fitbits and smart watches equipped with heart rate monitors, Dr Tynan says technology is now also being used to track not just our movements, but also our emotions. “You can detect whether somebody is excited, or down – all different trends during the day. This is all sold under the guise of cool things we can do, but the information they collect becomes a pot of gold for government, companies and hackers to mine and potentially do some nasty things with. Whether or not anybody managed to escape the hunters is being kept a closely guarded secret, and when I attempt to extract it from Captain Blakeley I am quickly put in my place: “I am trained in deception,” he says with a smile I don’t quite believe. The contestants dispersed to all corners of the country, urban and rural, and so Blakely says quickly adapted to being on the run. They bought cheap “burner” mobile phones – although even these can be traced using reverse triangulation of signals from phone masts – and were careful with the special bank accounts they were given for the series as each time it was used, it flagged up their position. Often false signals were sent to the hunters that they were in different parts of the country altogether. While Blakeley was part of the teams on the ground, he was being supported by security experts from British and overseas intelligence agencies trawling through each person’s online footprint. Despite all those technological advances, the main challenge to staying off grid remains – so the experts say – human frailty. People cannot resist getting in touch with family and friends while on the run, even though they know it can give the game away. “The more time you are on your own, the more likely you are to make mistakes and the more affected you become by paranoia as well,” Blakeley says. We are undone, in the end, by our need for contact and that same desire to share and communicate online may be dismantling the freedoms of those of us who do not even know we are being pursued. Big Brother isn’t just watching; he is one step behind and gaining. Apple is planning to bring the Apple Watch’s artfully animated wallpapers to the forthcoming iPhone 6s and iPhone 6s Plus, according to new reports. While Apple Watch owners are given a choice of animated jellyfish, butterflies and flowers backgrounds, the new phone wallpapers are reported to feature koi fish, flowers and coloured powdery smoke, according to9to5Mac. Pictures of what appears to be a yet-to-be-assembled iPhone 6s Plus box have been posted online on Chinese site cnBeta, complete with an image of a gold and black butterfly koi. The new phones are also expected to sport Force Touch technology, which detects how hard the user is pressing and allows different actions to be carried out accordingly. According to reports, the technology will allow menu “shortcuts” that enable users to find options on menus more quickly. Apple has sent out media invitations for a press event on Wednesday September 9, where chief executive Tim Cook is largely expected to introduce a revampedApple TV box set alongside the new phones. The new box is expected to feature atouch-pad remote, extra inbuilt storage and Siri voice control for browsing and selecting programmes and films to watch, in light of a recent patent filing. It will also support Homekit, after Apple confirmed that Apple TV would act as acentral hub for its connected home appliances, including ecobee thermostats, lighting kits and smart sensors. A leaked internal email from Vodafone staff suggests the new handsets will go on sale on September 25, with pre-orders being accepted from September 18. Apple recently brought the Watch’s animated flower wallpapers to life with hand-scuplted resin models in all 24 windows of Selfridges in London. Ranging from 200mm to 1.8 metres in height, the flowers included purple passion flowers, pink peoneys and white nigella. Apple Watch Selfridges takeover Photo: Tristan Fewings / Getty Images. With the launch of YouTube Gaming, the battle-lines are drawn for a streaming showdown between incumbent games video powerhouse Twitchand Google’s scrappy newcomer. It’s more of a fight to win hearts and minds though — or at least subscriber numbers — and Twitch has thrown the first punch, tying its “partners” to exclusivity contracts with the existing platform. This isn’t entirely new, and won’t affect many beyond those players who have signed a contract to monetise their livestreams. Twitch already had a clause preventing partners from using rival services (such as Hitbox or standard YouTube) for gaming broadcasts, but doesn’t prohibit the uploading of recorded clips to “static” video sites. However, with YouTube Gaming looking to make a big splash in the streaming world, the Amazon-owned Twitch has been more vocal in reminding its circa 11,000 streaming partners of their legal obligations. Regular YouTube is undeniably the biggest name in online video and there’s likely some temptation among the better known streamers to see if the grass is greener in Google’s valley. YouTube Gaming is yet to respond to the exclusivity tactics of Twitch, nor has it given any indication of whether it will implement its own talent lockdowns. And then there’s the potential matter of poaching — how would the live gaming world react if online celebrities such as Syndicate, with more than two million Twitch followers, were nabbed by YouTube Gaming? WIRED.co.uk has contacted Twitch and YouTube for comment. Twitch’s press officer replied with a flat “We don’t comment on contracts”. YouTube’s comments will be added should we receive a response. T-Mobile is today issuing a warning to customers: stop taking unlimited data to ridiculous extremes. In a post on T-Mobile’s blog, CEO John Legere has publicly called out “a fraction of a percent” of users who’ve been sucking down hundreds or even thousands of gigabytes of data each month. But these customers aren’t using all of that data on their smartphones alone; instead, T-Mobile claims they’ve come up with ways to conceal mobile tethering and hotspot usage. Tethering allows customers to get other devices (PCs, tablets, etc.) online using their smartphone data plan. With its $80 unlimited data plan, T-Mobile already offers a generous 7GB limit for tethering purposes. Once customers exceed that, their hotspot speeds are slowed down considerably. But there are many apps — particularly on Android — that promise to hide tethering activity from wireless carriers, making it hard to distinguish what data is actually being used for. “We are going after a small group of users who are stealing data so blatantly and extremely that it is ridiculous,” Legere wrote. T-Mobile says it has developed technology that can now detect when customers who’ve reached the tethering limit are “stealing” extra gigabytes from their phone’s plan. Starting today, those users will receive a warning from the Uncarrier imploring them to stop immediately. Failing to heed that warning will result in customers being permanently kicked off of T-Mobile’s unlimited data planand moved onto the company’s entry-level (and tiered) package. The full details can be found in a FAQ here. If you need more than 7GB of data for tethering, T-Mobile’s message is pretty clear: call your local internet company. 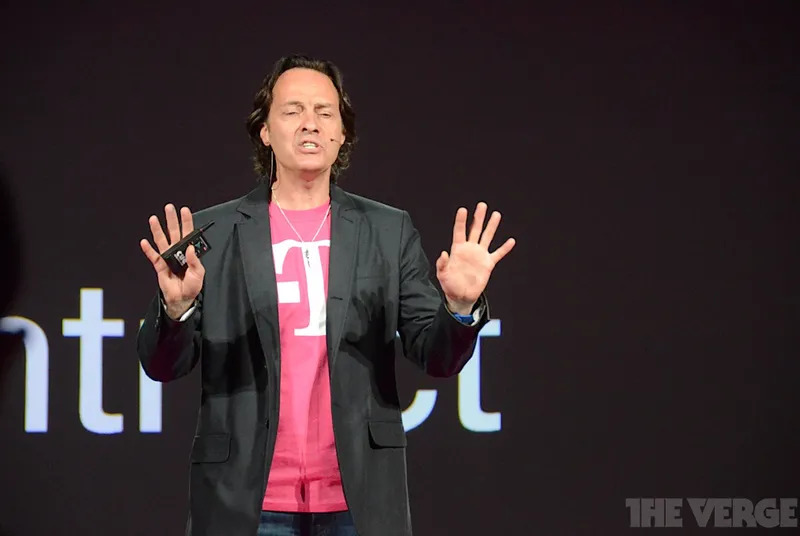 “Broadband services would be a better solution for customers who need more high-speed for tethered devices.” John Legere is no longer willing to let you download torrents or power your home Wi-Fi with his network — however “Data Strong” it may be. You probably don’t even have a 4K TV yet, but content providers are already getting the video ready for the day when you do. 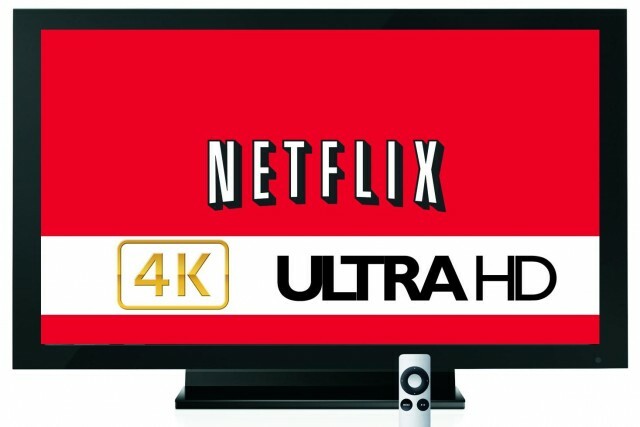 Netflix is one of the main sources for 4K video right now as we await 4K Blu-Ray discs, and thus far content producers could feel secure providing their UHD video on the streaming platform. However, it appears that the first pirated 4K content from Netflix has hit torrent sites, calling into question how secure the latest DRM schemes really are. 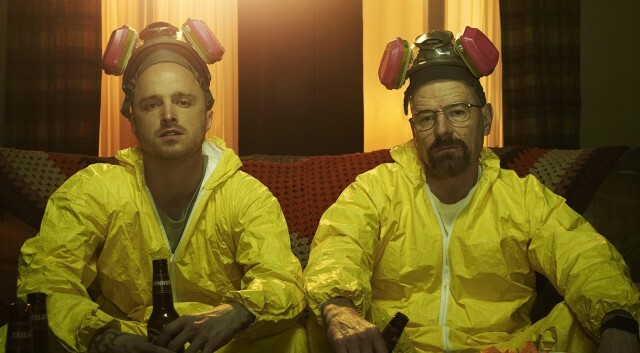 The leak in question is the first episode of Breaking Bad, which has a run time of 58 minutes. For less than an hour of 2160p video, you’re looking at a whopping 17.7GB. That’s about 50 times larger than the standard definition version of the episode. File size will vary a bit based on the encoding used by the release group, but this one has a bitrate of 41.3Mbps. A 4K file can go much higher when you don’t have to worry about streaming it over the internet. Even this relatively modest 4K file will push the average laptop’s decoding capacity during playback. This version of Breaking Bad is based on new 4K masters, so there’s a lot of interest in it. The Blu-Rays were based on an older 2K master. The leaked episode only has video and subtitles from Netflix. The audio is ripped from the Blu-Ray version of the show. It’s notable that Breaking Bad was ripped from Netflix at all, seeing as it was protected with the latest 2.2 version of High-Bandwidth Digital Copy Protection (HDCP). This DRM scheme was implemented after attacks were found that allowed HDCP 2.0 and 2.1 to be cracked. Some past versions of HDCP were broken when master keys were leaked as well. It’s not clear if the release group (the well-respected iON) actually managed to break HDCP 2.2 or if they found some other way to rip the stream from Netflix. HDCP works by requiring an authenticated path from the source to output. Any anomalous device or software should prevent the video from playing. Netflix is investigating the leak, but it’s unlikely the responsible party will be found. 4K video streams are generally labeled with a discreet digital watermark that can be analyzed to determine the account a file was ripped from. However, piracy groups are usually well-acquainted with this technique and know to strip it from the uploaded version. The Breaking Bad pilot is probably just the start. If someone has figured out a reliable way to rip HDCP 4K content from Netflix, there will be many more leaks in the future. The average pirate probably won’t be downloading it yet, though. Almost 20GB is a lot of data to store for a single hour of TV — that would be well over 1TB for all of Breaking Bad. At that point, it’s probably easier to just subscribe to Netflix. Space is big and mostly empty, but it’s the small part that isn’t empty that ends up being an issue for space exploration. Even a tiny piece of debris from a derelict satellite or ancient bit of space rock can cause damage to a spacecraft, and that damage can expose your fragile atmosphere-loving body to the harsh vacuum of space in a real hurry. Researchers from the University of Michigan working with NASA have developed a material that might add an extra layer of protection from space debris, a material that can heal itself to seal hull breaches. The International Space Station is the most heavily shielded craft ever built, a necessary distinction as it’s designed to operate for years in orbit. The current design relies on a series of impact shields known as Whipple bumpers or Whipple shields. These bumpers are essentially thin layers of material that stand off from the hull of the station by at least several centimeters. When a small object impacts the station, the impact with the Whipple bumper slows it down and may even cause it to break up. The result is a lower force spread over a larger surface area of the actual hull. If the bumpers were to fail, the station would have a weak spot that could lead to a hull rupture. The work by U of M scientists might offer an added layer of protection. This new material iscomposed of a type of liquid resin called thiol-ene-trialkylborane. It’s sandwiched between two polymer panels to form an airtight seal. The resin remains liquid as long as that seal remains unbroken. Should a projectile pierce the hull of a ship that includes this material, it will no longer be sealed. The resin leaks out through the breach, and that’s when the magic (science) happens. On one side of the breach is vacuum, but as we’ve all learned from TV and movies, the air inside a spacecraft will be sucked out quickly. The air on the inside of the ship reacts with the resin as it leaks out, causing it to harden into a solid plug that stops more atmosphere from escaping. This happens extremely fast as well — the video above shows the resin hardening in just a few milliseconds. If the efforts by state legislators to restrict the use of student data are any guide, the email addresses and search queries of the nation’s schoolchildren are a hot commodity. In May, Georgia adopted a law barring online services designed for elementary through high school from selling or sharing students’ names, email addresses, test results, grades or socioeconomic or disability information. It also bars them from using the data to target students with ads. In August, Delaware enacted a law that forbids online school services from selling students’ personal details — including their political or religious affiliations, food purchases, text messages, photos, videos and web searches — or using the information to market to them. Those are just two of the 182 bills introduced in 46 states this year intended to bolster protections for student information, according to a report this month from Data Quality Campaign, a nonprofit group that advocates the effective use of student data in education. Fifteen of those states have passed 28 laws, said the group, which is financed in part by the Bill and Melinda Gates Foundation. The activity stands in stark contrast to legislative interest just two years ago, when Oklahoma was the only state to pass such legislation. It also provides a clear indication of the rapid adoption of learning apps in classrooms — and of concerns that these novel technologies generate a trove of new data about students that could be used in unforeseen ways. Many of the new tools are designed to tailor learning to each child. To achieve that sort of customization, the software may collect and analyze a vast array of details about the habits and activities of individual students. These apps and sites represent a small but growing segment of the overall market for prekindergarten through 12th-grade education software,estimated at about $8.4 billion last year. But already, the data collection has raised concerns among lawmakers and parents about whether school districts are equipped to monitor and manage how schools and online education services safeguard students’ personal details. Some legislators have pointed out the potential for identity theft and predatory marketing. “We want to make sure that companies are not selling the data, using it for targeted marketing to students or using it in any other way that is not their business to use,” said John Albers, a Republican member of the Georgia State Senate. Mr. Albers sponsored the legislation that was adopted in his state this year restricting the use of student information by school vendors. As schools themselves increasingly analyze socioeconomic, behavioral and emotional data about students, some parents are more troubled by the possibility that the data could be used in making decisions that are damaging to their children, potentially affecting their college or job prospects. School districts have long kept records of students’ academic performance and extracurricular activities, their health conditions, gender, race and eligibility for reduced-price school lunches. Educational apps, homework portals, digital cafeteria payment systems and other programs may log even more granular information in real time — about how students study, where they go, what they eat and whom they interact with and when. Many schools give students Gmail or Microsoft email addresses and use those companies’ programs for student calendars, documents, web searches and file-sharing. Some also employ data-driven math and language apps; these are tools that may record and analyze thousands of pieces of data about each student with the aim of customizing lessons on the spot to that student’s abilities and tastes. In an effort to quell some parents’ concerns about the use of that information — and simultaneously ease the way for technology adoption in schools — states last year introduced more than 100 student data bills. California, a national trendsetter in privacy legislation, enacted a landmark law that specifically prohibits online school services from using students’ personal data to show them personalized ads; more generally, the law bars the services from employing student data for nonschool purposes. This year, about two dozen states introduced similar bills. And five bills have been introduced in Congress aimed at protecting student information. About 170 companies — including Apple, Google and Microsoft — have agreed to a voluntary industry pledge that obligates companies not to use the student data collected by their classroom products for personalized advertising. Industry advocates, however, say the hodgepodge of state efforts could backfire — by limiting the learning apps available to schools. Many fledgling digital education companies may not have the capacity to tailor their products to the widely varying student data-handling rules of different states, said Mark Schneiderman, the senior director of education policy at the Software and Information Industry Association, a trade group. “Will certain markets be left behind?” he asked. But as schools collect and analyze a wealth of details about students, some parents are raising questions about the fair and appropriate use of their children’s data that go much deeper than marketing issues. One day last year, for instance, Kerisha Harris’s daughter came home from first grade with a letter from school saying she was overweight. Ms. Harris, a web producer for a local television station in Weston, Fla., said the school had neither asked her permission to calculate her daughter’s body mass index nor notified the family about its obesity-intervention program. She said her daughter was too young at the time to fully comprehend what had occurred. Still, Ms. Harris said she personally found the data collection invasive and the report inaccurate. 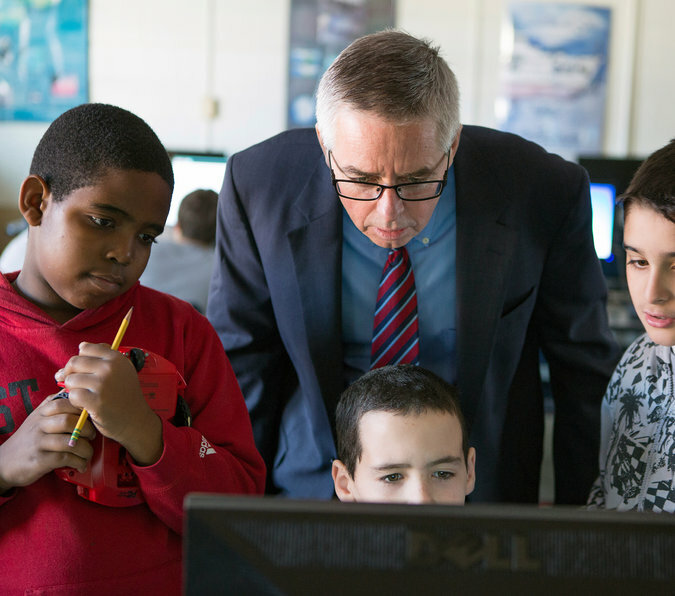 Some evidence-based education researchers would like to see school administrators require rigorous pilot studies to establish whether data-driven programs result in better outcomes for students before introducing the efforts districtwide or statewide. That includes information about students collected and maintained by the schools. A recent study on school tracking of body mass index, for example, reported that students whose families received school notices that their children were overweight showed no significant differences in B.M.I. scores after two years compared with students who were not screened. Despite the reported lack of benefit — and the potential for harm to student self-esteem — obesity tracking and notification programs continue in many schools. The whole point of Facebook is to share your life with other people. You probably have more than a few friends who fall into the over-sharing category. But don’t snicker, you may be one, too, and not even know it. Here are five personal titbits Facebook asks you to share that you’re much better off keeping to yourself. 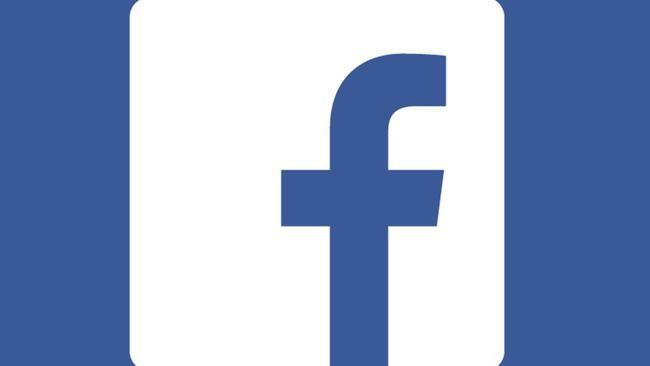 It’s a really bad idea to add your home or cellphone number to your Facebook page. Prank callers, stalkers, scammers and identity thieves would love to use this information against you. Not only that, but there’s a Facebook trick that works pretty much most of the time. Anyone can use your phone number to search and find your Facebook page. One security researcher, Reza Moaiandin, took it a step further and found he didn’t even need to know a specific phone number. He wrote a program to generate every possible number in the U.S., U.K. and Canada, submitted the numbers to Facebook and got back information from millions of profiles that had poor privacy settings. If he had wanted to, he could have turned around and sold the information on the black market to hackers who build and sell “fully,” or packages of identity information. Go to Facebook and click on your name at the top of the page. When your profile page loads, click the “Update Info” button in the lower-right corner of your cover image. Go to “Contact and Basic Info” in the left column and next to your phone number click the “Edit” link. Click the “audience selector” icon, which will either be a globe or a silhouette of two people or a lock. If you see the lock, you don’t have to do anything. But if you see the globe or silhouette, change it to “Only me.” Now no one can see your phone number, and it won’t show up in searches. One other place you might find your address is under events. If you create an event, it will likely have your address, so people know where to go. If that accidentally gets set to Public, then anyone can see it. Either delete the event right after it happens, or tell people who are coming to message you for the address. Be sure to check back through your history to get rid of any old events or posts that have your address in them. Click here to learn how to use Facebook’s built-in tools to make it easier. Try not to leave any information on Facebook that reveals where you work. If someone from your workplace tries to search for employees on Facebook, she might find a post or photo she doesn’t like. Similarly, if a hacker wanted to figure out whom to target if he wanted to break into your workplace’s computers, social media would be his first stop. Of course, hackers are more likely to hit LinkedIn first. Bonus tip: If you’re worried about co-workers or employers creeping on your Facebook profile, then change these three basic features. Again, you can use Facebook’s timeline tools to do a scan of your past posts. Remove any information about your current job, especially if it’s of a complaining nature. If you have posts about previous jobs, you might want to remove those as well. A current co-worker or supervisor you decide to friend might see them and it could colour her opinion of you. Bonus tip: Have some pictures you want to keep in the family? Here’s a tip that will teach you how to make sure that some of your friends don’t see all of your photos. Don’t forget the scammers out there who specialise in sweetheart scams. They use social media, email and dating sites to create a romantic connection with you and then swindle you out of money. You don’t want them to see that you’re single on Facebook and get ideas. It’s easier just to remove your relationship status entirely. Of course, one of the best ways to accidentally get your credit card charged for something is to leave your Facebook profile open on your home computer. A small family member or a “joking” friend at your home could use it to spend money on something straight through Facebook. You don’t want that to happen, do you? This also keeps it out of the hands of any hackers who break into your Facebook profile. Better yet, click here to learn how hackers use scams to take control, and how to spot and avoid dangerous ones. The chief executive of infidelity website Ashley Madison’s parent company Avid Life Media has left, just over a week after hackers leaked data about millions of its clients in a massive cyber assault. Avid Life said on Friday the departure of Noel Biderman was by “mutual agreement” and its existing senior management team would take over until a new CEO is appointed. On Aug. 18, hackers who claimed to be unhappy with its business practices released the Ashley Madison customer data, and police probing the breach said it had sparked extortion attempts and at least two unconfirmed suicides. The data dump contained email addresses of U.S. government officials, UK civil servants and workers at European and North American corporations, taking already deep-seated fears about Internet security and data protection to a new level. “This change is in the best interest of the company and allows us to continue to provide support to our members and dedicated employees,” the Toronto-based company said. Biderman, styling himself the “King of Infidelity,” had been the company’s primary pitchman but the married father of two has not made any public appearances since the attack. His exit could help appease investors and business partners but would do little to placate subscribers or the public, said Dan Hill, president of strategic communications firm Ervin Hill Strategy. “Given the number of battles they are fighting that are so significant and high profile, I don’t see how this is going to move the needle for them,” he said. He said Avid Life would have to find a replacement fast. “You can’t run an organization through a crisis by committee,” he said. Biderman founded Ashley Madison in 2001 and Avid Life Media acquired it in 2007. A second data dump by the hackers released thousands of Biderman’s emails and other company documents. Reuters could not independently verify the authenticity of the data, emails or documents. To date, few top executives have lost their jobs after big cyber breaches. Sony Pictures America co-chairman Amy Pascal stepped down in February after last year’s devastating breach at Sony Corp’s Hollywood studio and Target Corp replaced its CEO last year in the wake of a 2013 breach that exposed records of tens of millions of the retailer’s customers. Cyber security firm Veracode Chief Technology Officer Chris Wysopal said he expects such ousters to become more common. “Breaches are huge financial issues, even existential issues for companies. They are getting bigger and more impactful to the companies being breached,” he said. The US Department of Defense is partnering with Apple, Lockheed Martin and 160 other private institutions to create wearable tech — in a deal that will give the niche a $171 million boost in both the consumer and military economies. It’s all part of the Pentagon’s newly announced Flexible Hybrid Electronics Manufacturing Innovation Hub — an initiative by the Obama administration to create high-tech sensory gear flexible enough to be worn by people or molded onto the outside of a jet. “I’ve been pushing the Pentagon to think outside our five-sided box and invest in innovation here in Silicon Valley and in tech communities across the country,” Defense Secretary Ashton Carter said in a statement Friday. “The emerging flexible hybrid electronics sector promises to revolutionize the electronics industry, and the Silicon Valley-based FlexTech Alliance consortium, backed by companies as diverse as Apple and [defense contractor] Lockheed Martin and major research universities including Stanford and MIT, represents the next chapter in the long-standing public-private partnerships between the Pentagon and tech community,” the Department of Defense said in a statement. Total shipments of wearable products are expected to jump to 126 million items in 2019, up from about 20 million last year, mostly due to increased demand for smartwatches and fitness bands, according to IDC’s forecasts. High-tech fabric has gained prominence not only in the US but around the world. Intelligent Textiles, a British firm, combines electronics engineering, product designer and knitting. The firm weaves electronics into fabric — not embedding electronics, but weaving them into the product itself. One area where high-tech fabric has seen frontline action is in the Canadian military’s IAV Stryker armored personnel carrier.